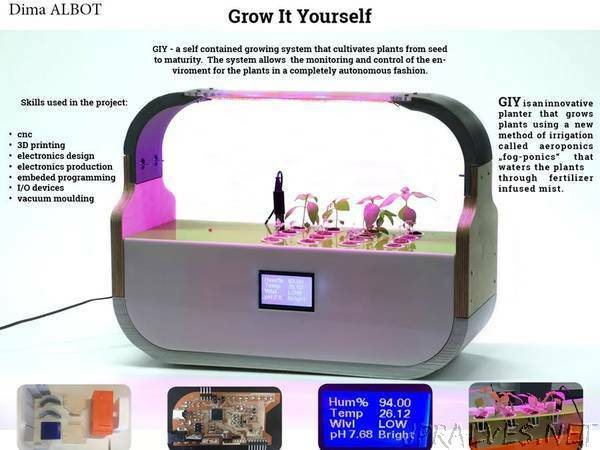 “An automated, smart, self-contained growing system that cultivates plants from seed to maturity! I was greatly inspired after watching the TED Talk about Digital Farming, delivered by the director of MIT’s Open Agriculture Initiative, Caleb Harper, which came up with the topic: This Computer will Grow your Food in the Future. The most important question addressed in his talk that really inspired me was What if we could grow delicious, nutrient-dense food, indoors anywhere in the world? And here the idea was born!